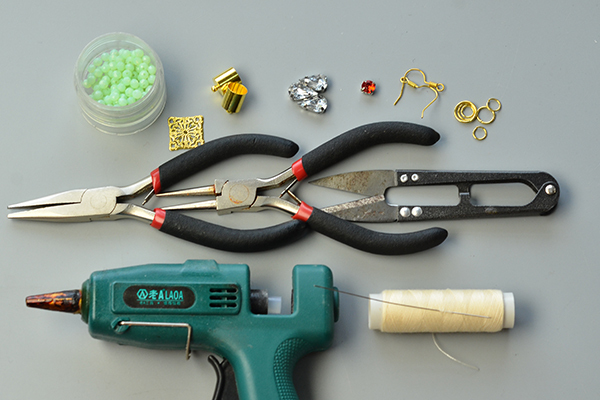 Summary: Spring is right in the air, have you get your spring jewelry ready? If not, look here! 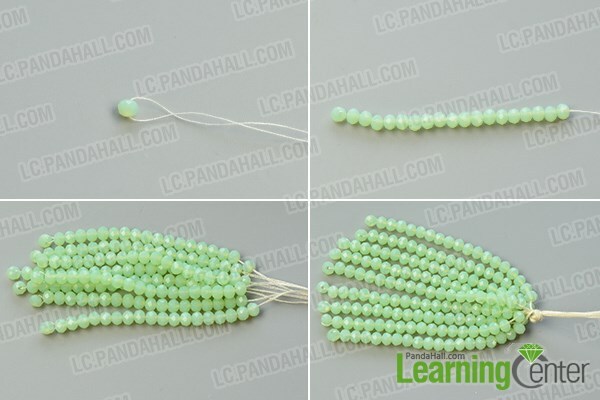 This tutorial will share you a pair of green tassel earrings, which would be very suitable for spring days. 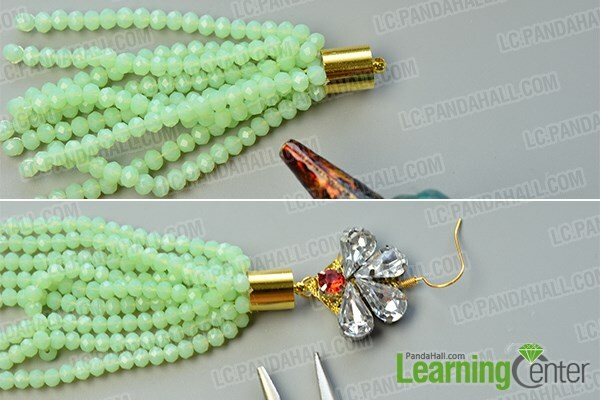 These DIY tassel earrings are mainly made with fresh green glass beads and shining rhinestones, if you are short of spring jewelry to match your outfits, you can take these earrings in to considerations. 4th, put all the 9 tassels together and tie an overhand knot to make to a big tassel. 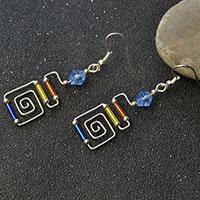 3rd, attach the filigree link to an earring hook. 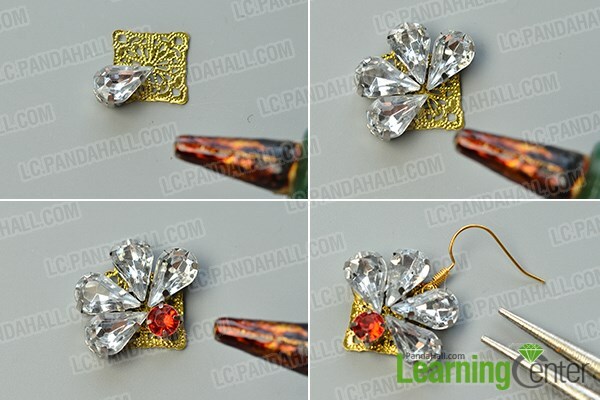 2nd, repeat all previous steps to make another earring in the same way. Fresh colors always fit well with sunny spring days. 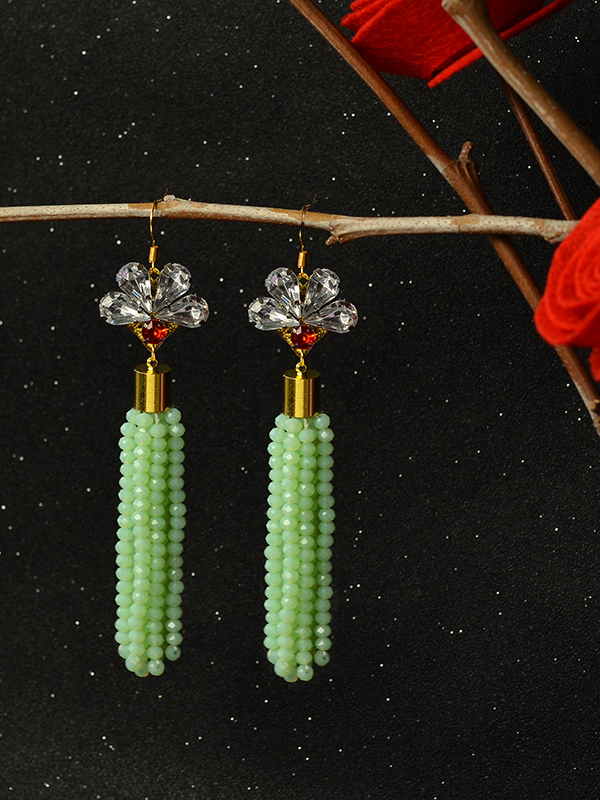 So, are you ready to make these fresh colored tassel earrings to match your spring outfits? If you’d like to try, you can get the materials on our website and follow this tutorial to make them.